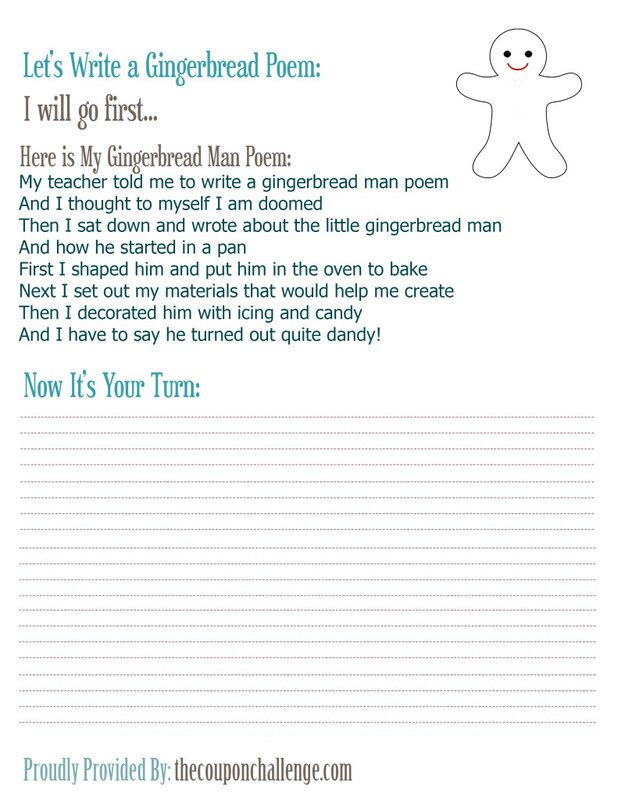 Print and write your own gingerbread man poem. You can download the Gingerbread Man Poem here. Also see more Gingerbread Activities including this Gingerbread Man Coloring Page!